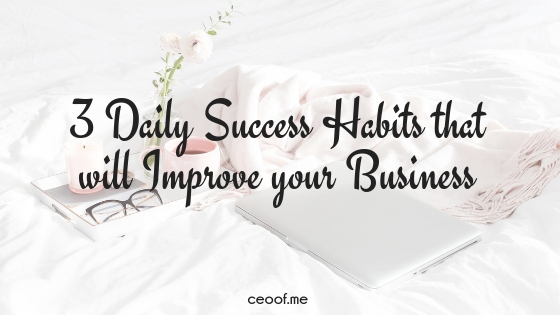 Create a morning routine where you put self-care first before doing anything with your business. Get up, exercise, mediate, shower, get dressed, have a healthy breakfast and take care of anything else you need to do to keep your personal and mental health at peak performance. This will allow you to not only have more success in your business but also balance your personal life better too. The emails and messages can wait 1 or 2 more hours before you reply to them. Set clear boundaries in your business and make taking care of yourself a priority if you want to see your business really grow. I’m not talking about journaling like keeping a diary of your day’s thoughts and activities. 🙂 This type of journaling goes much deeper and focuses on increasing your self-awareness, setting intentions for how you will live your life and keeping a record of your ideas, gratitude and celebrations. First is gratitude. I believe that gratitude is essential to being truly happy and creating more abundance in our lives. I write down all the things I am grateful for, good and bad, past, present and future too. Second is emotions. I check in with my emotions each day. I write about what might be bothering me, something I may be feeling anxious, fearful, shameful, confused or excited about. It helps me work through problems that I might otherwise push to the side. It helps me do any forgiveness work I need to do for myself, someone else or a situation that my have triggered me. It helps me make sure I go into the day with a clear head and heart. Third is intention. I write out my intentions for the day and will even write sometimes as if the day is already over and I am celebrating all the things I intended to do, be and have during my day as if they already occurred. This helps me take my goal setting even deeper and create a tangible, believable mindset about all the things I want to accomplish. Last is vision. Each day I remind myself of my bigger picture vision for my life and my business. This helps me remain focused and centered as the day goes on and I have to make decisions on how I spend my time, my money, my energy and my actions. 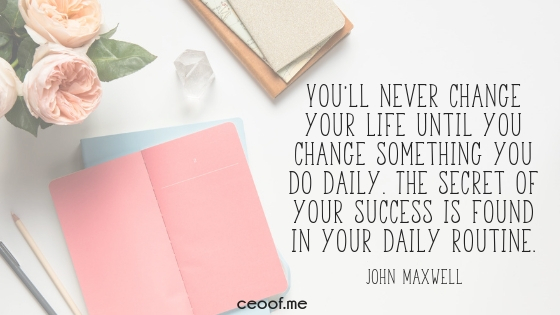 I truly credit this method of journaling with having a significant impact not only on my business growth but my personal growth too. It doesn’t take that much time, maybe 5 minutes some mornings or other mornings it might be 15-20 minutes depending on what emotions I am dealing with or what intentions or ideas I may have for the day. It helps clear out any negative clutter, fears or anxiety and allows me to start my day knowing exactly what I need to focus on, what I intend to accomplish and coming from a place of gratitude. This information is very helpful and I have been practicing most of these suggestions daily. Those that I haven’t implemented I will start tomorrow! Thanks so much!